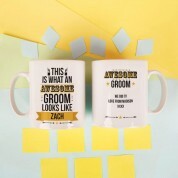 This personalised mug is the perfect gift for the groom to use on the morning of his wedding. He can store any hot drink or perhaps a secret alcoholic drink in his mug to calm his wedding day nerves. 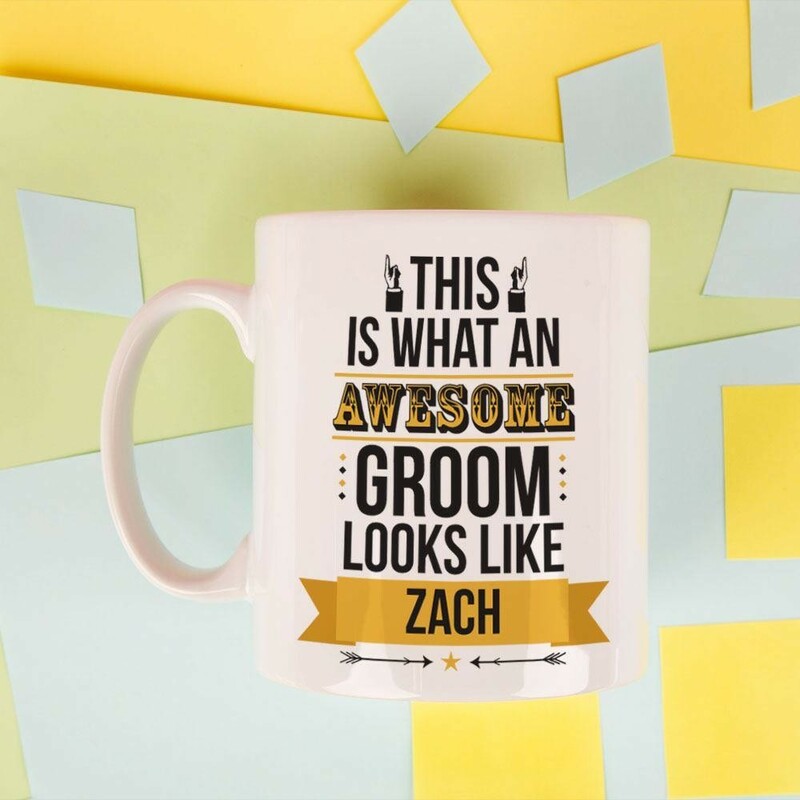 The front of the mug features a humorous message 'this is what an awesome groom looks like' along with hands pointing upwards (to the groom when he drinks from his mug). 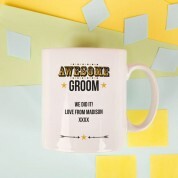 We can personalise with the groom's name and there is a space on the back for your short personal message to the groom. 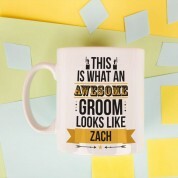 This mug can be used after the groom is married too to remind him of the special day he married his dream girl. Material: ceramic. Dimensions: approx 9cm tall.